She talked about how her leadership as a woman has changed, altered and impacted both the Office and the community, and resulted in the creation and development of many programs designed specifically to benefit women and children, such as the Southern Arizona Children’s Advocacy Center, the Community Justice Board program, the SMART program, the ACT Now Truancy Program, the Drug Treatment Alternative to Prison program, the Domestic Violence program, the Courthouse Dogs and Kids in Court. In 1996, Barbara LaWall was the first woman to be elected Pima County Attorney. She is currently serving her fifth term. Public safety is her first top priority. She has placed primary emphasis on vigorous prosecution and defendant accountability, giving special attention to helping victims, limiting plea bargaining, prosecuting crimes against children, preventing juvenile crime, and increasing efficiency and effectiveness by promoting the careful use of taxpayer dollars. She is a nationally recognized expert in juvenile justice, domestic violence, child abuse, parental kidnapping, and community prosecution issues and serves on numerous commissions, committees, and task forces. 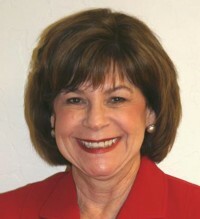 She is the recipient of numerous awards including the Greater Tucson Leadership 2014 Founders Award, the American Bar Association’s 2013 Tucson Biz Women of Influence Award, and the 2012 Judge Learned Hand Award.